Sell calling cards pins or pinless calling cards. Full Back-end Web Control Panel Access. Using the IVR, users can automatically recharge calling card using vouchers and can register their numbers for pinless without accessing their online web portal. You can also provide services on cell phones using Android or iPhone software. You can provide did services which are forwarded to their cell phones. You can setup credit limit per account or prepaid plans and setup the auto recharge option. Please contact Support for latest Updates. 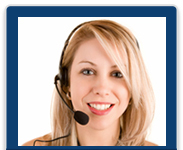 We can also support other languages on our Calling Card Voice Attendant.